Have you thought to rent a car? It can be a better option if you want to explore in detail the territory. You must take the train, R3 line, to Ripoll from one of these stations: Barcelona Sants, Plaça Catalunya, Arc de Triomf, Sagrera-Meridiana or Sant Andreu Arenal. Map of the tren line, click over the picture to expand or download it. Once you arrive to Ripoll, you must take a bus to Camprodon Valley. 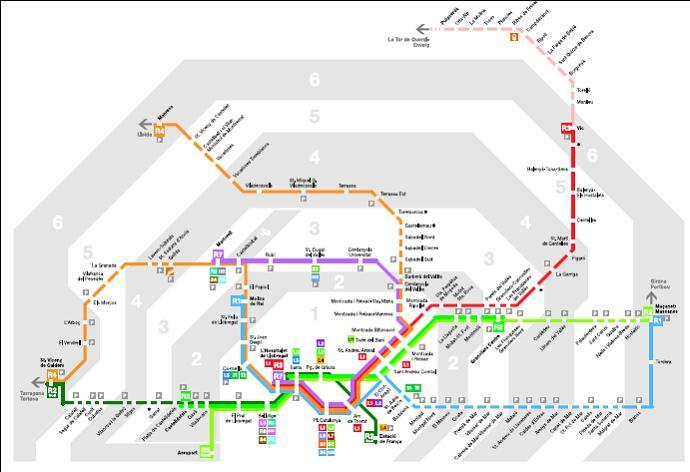 The location of two stations are pointed on the map with number "1" (bus station) and number "2" (train station). Click over the picture to expand it. 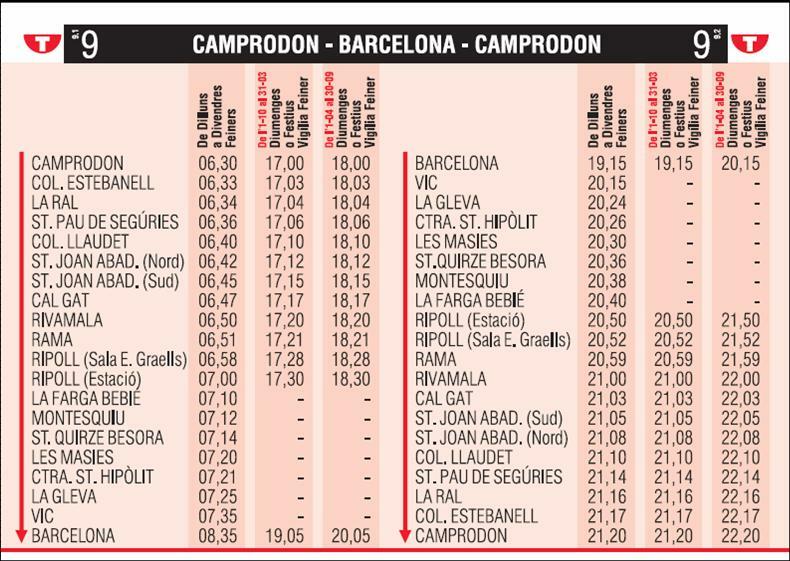 Click over the picture in order to expand or download the timetable of the regular bus line to Camprodon. You must take a bus from Barcelona to Camprodon Valley. Dinamic map (below), pointing the place to take the bus of "TEISA" company. if you chose to arrive by public transport,then you must take a train of R2 regular line, from the airport station to Barcelona Sants. Click over the pictures to show or download it. From here you must continue in the section "How to arrive" from Barcelona. First of all, you must go to Ribes de Freser bus station. Map pointing the location of bus station just below. To go from the Ribes Valley to the Camprodon Valley there are two possibilities. First you must take a bus from the Ribes de Freser bus station, of "Autocars Mir" company; and then another bus from Ripoll to Camprofon Valley of "Teisa" company. 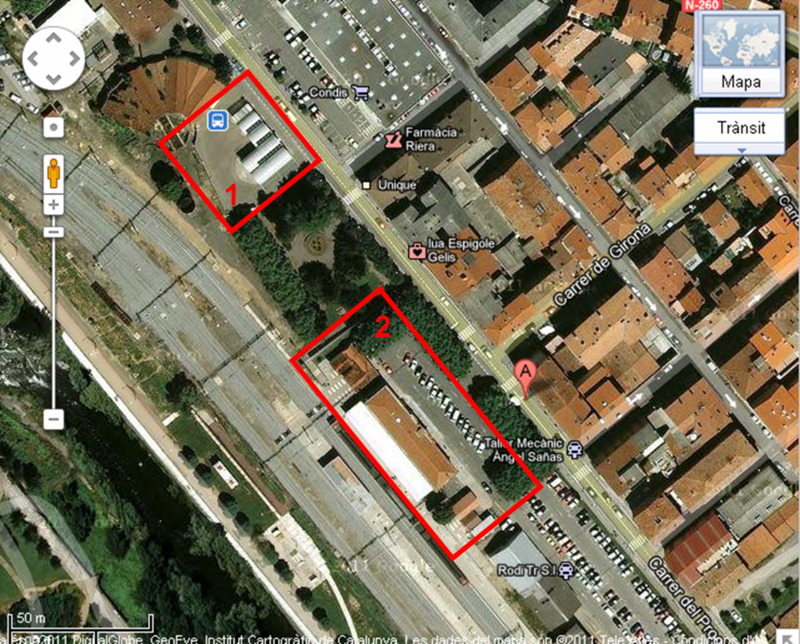 Have you thought to rent a car at Ripoll? It can be a better option if you want to explore in detail the territory. 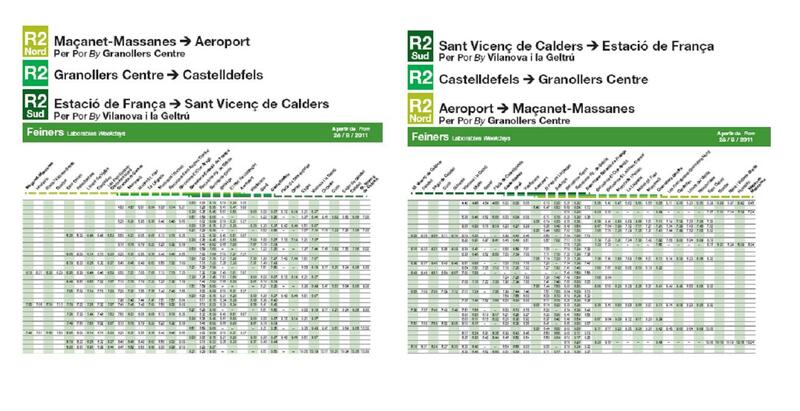 If you chose the second option, then you must take train, from the R3 regular line, from Ribes de Freser to Ripoll. 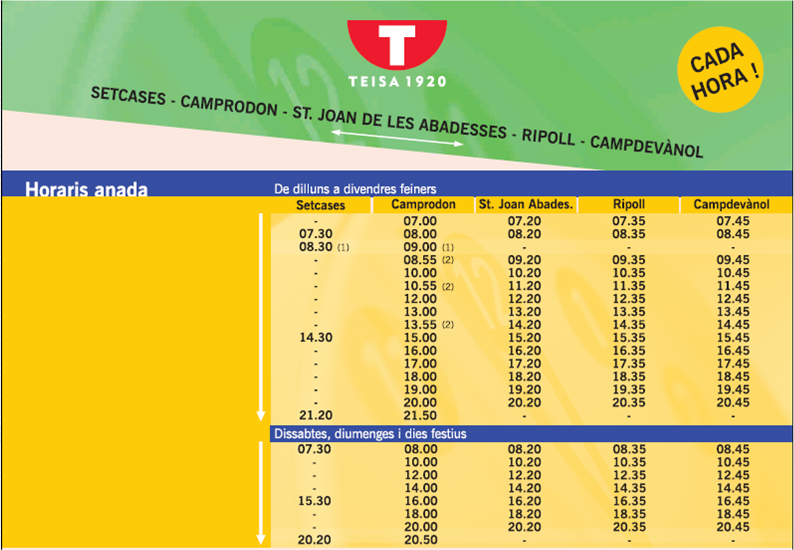 Once you have arrived to Ripoll you must take a bus, from "Teisa" company that will transport you to Camprodon Valley. Click over the images in order to show or download the pdf file of timetables. In order to arrive to Camprodon Valley, you must take a bus of "Teisa" company. Dinamic map with the location of the bus station (below). To show or download the timetable pdf file, click over the picture. 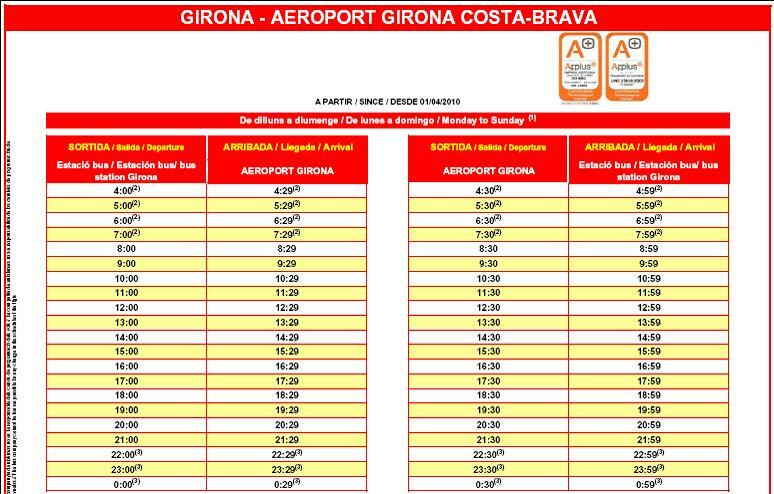 if you chose to arrive by public transport, then you must take a bus from the "Barcelona Bus" company from the airport to Girona's city. Timetable of the two lines going from the airport to the city. Click over the picture to expand or download the pdf file. 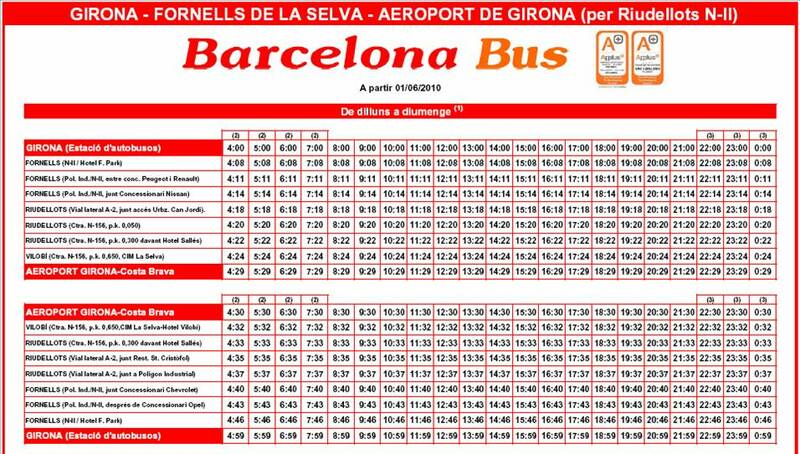 From Girona you must take a bus from "Teisa" company to Sant Joan de les Abadesses. Once you arrived to Sant Joan, you will go on with another bus of the same company to Camprodon Valley. Dinamic map of Girona pointing the location of the bus station. 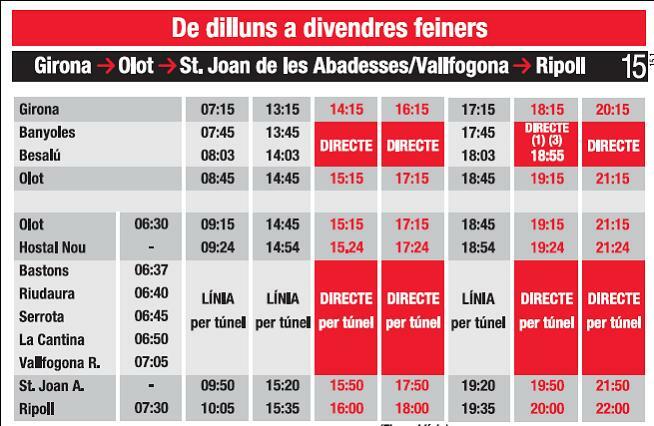 Timetable of the bus from Girona to Sant Joan de les Abadesses. Click over the picture to expand or download the pdf file. 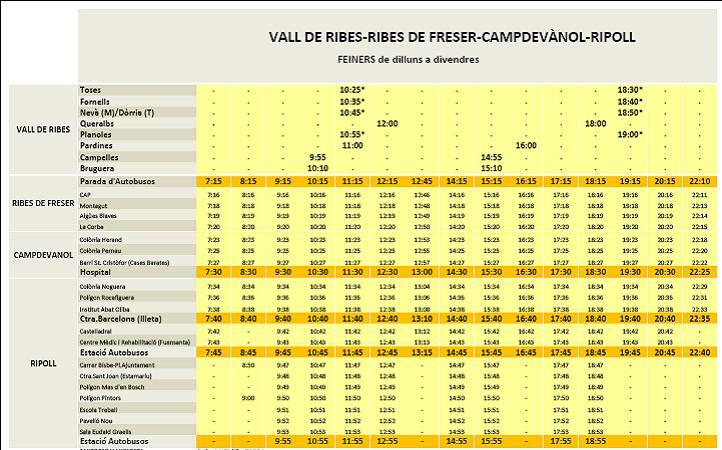 Timetable of the bus from Sant Joan de les Abadesses to Camprodon Valley. Click over the picture to expand or download the pdf file. First of all you must take the train in La Tor de Carol, R3 regular line, in order to arrive to Ripoll. From there you must take a bus from "Teisa" company that will bring you to the Camprodon Valley. Map of the regular train lines, click over the picture to expand or download it. 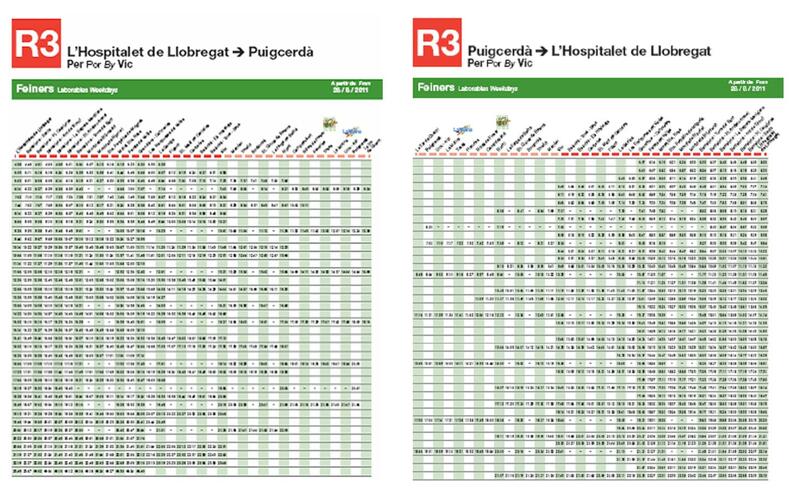 Timetable of the regular train line R3, click over the picture to expand or download it. 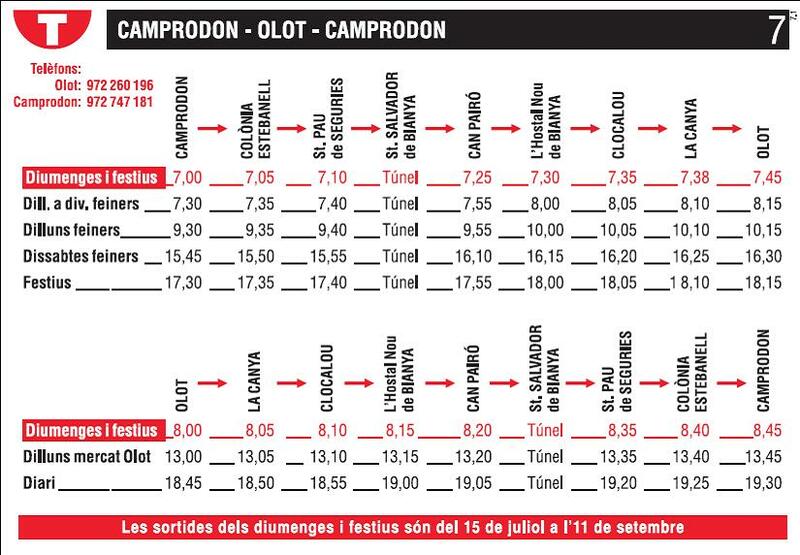 Timetable of the regular bus line from Ripoll to Camprodon Valley, click over the picture to expand or download it.